7 SEO tips for optimizing your ProvenExpert profile for Google & Co.
Get the most out of your ProvenExpert profile in a few easy steps - for maximum visibility in search results. Create effective feedback invitations to send to your customers. Tutorial: Get your first customer reviews in only three steps. 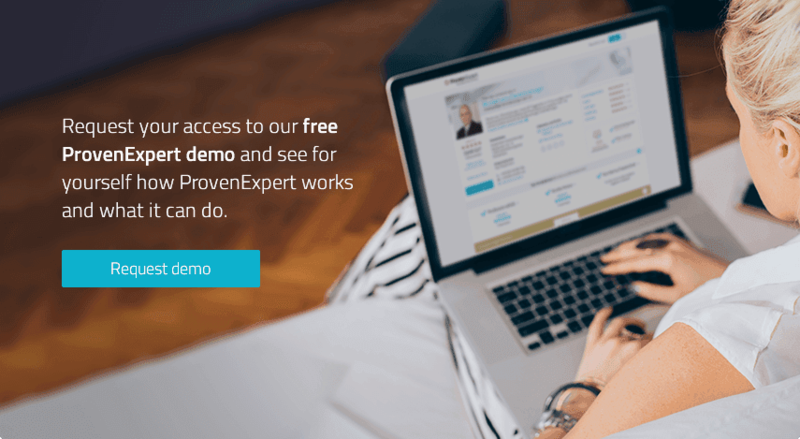 Increase your revenue and reach more potential customers with ProvenExpert. Guest article by Bastian Sens: Anyone who uses Google rating stars can achieve better click rates and more visibility in search engine results. This guest blog by Bastian Sens describes how you can integrate a performance-boosting, eye-catching graphic into your website. How do attract more visitors and increase visibility of your rating profile in search engines. Organic content: You can&apos;t buy it in shops. Unique content attracts search engines - find out more information here. The third SEO tip for better visibility for your rating profile - organic content. Not appearing on page 1? How to optimize your rating profile for search engines. Publish your customer survey on your Facebook page easily and quickly with the free Facebook app from ProvenExpert. Our tutorial shows you just how easy it is.